Coal provides one of the best alternative sources of energy for Nigeria due to its availability, easy usage and high heat emission. 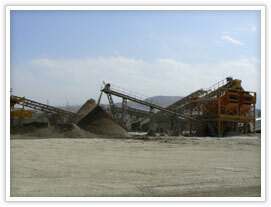 Therefore it's extremely important to choose best suitable coal mining project solution. We have cooperative with them to provide series of coal mining equipment including coal crushers, coal mills, screening plant and the whole coal processing plant design. The whole project went smoothly and the cooperation will continue.